These Bollywood beauties looked beautiful in shades of pink. When it comes to fashion, Aishwarya Rai Bachchan is either a pure delight or a complete let down – there’s no middle ground here. Her style diary is a mix of everything, from the glamorous to the bizarre. But looks like this year, at least until now, the actress has been playing it safe – unless you excuse her appearance at Cannes 2016! Who can forget those bold turquoise blue smokey eyes and the purple lip shade, right? Recently, the Ae Dil Hai Mushkil actress was spotted at a Ganpati Mandal with husband Abhishek Bachchan and though she did not experiment much with her look this time, she looked effortlessly beautiful. For the occasion, she wore a bright pink floral-printed anarkali and white churidar. Although we don’t prefer white here, she still managed to carry it off. The make-up was perfect too with a pop of bright pink on her lips and so was her hair. 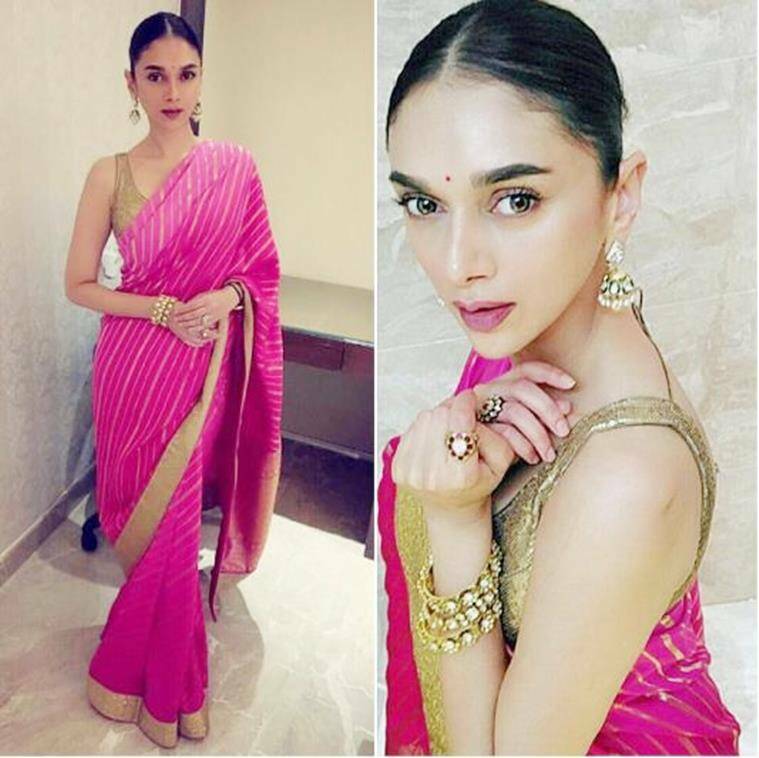 Meanwhile, Aditi Rao Hydari killed it in Indian wear, yet again! Seriously, we don’t think this beauty can ever look bad. Her fashion sense is always so on point that we hardly get any reason to complain. 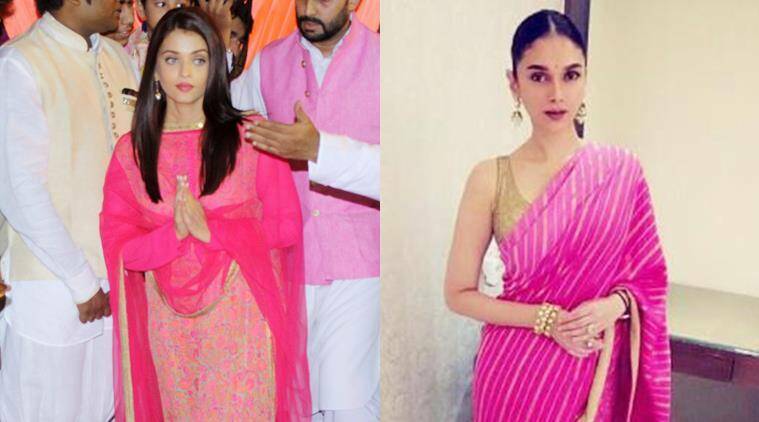 Hydari was spotted in a hot pink sari by Mohey by Manyavar and jewellery from Anmol Jewellers. Celebrity make-up artist Elton J Fernandez did a fantastic job by opting for muted make-up to complement the look. Not to forget, the bindi! Perfect for an autumn evening, don’t you think?